Andrew Engel, M.D., established a neuromuscular disease research laboratory at Mayo half a century ago. He's had continuous NIH funding for an astonishing 50 consecutive years — the longest streak among Mayo researchers. The year was 1965. Lyndon Johnson was sworn in for his first full term as president. The Sound of Music hit the big screen. A patent was filed for the first "practical commercial ultrasound machine." And Andrew Engel, M.D., established a neuromuscular disease research laboratory at Mayo Clinic. Fifty years later, much has changed, but Dr. Engel is as dedicated to his research — and his patients — as he was half a century ago. Dr. Engel’s work has focused on neuromuscular disorders, including Duchenne muscular dystrophy, myasthenic syndromes and other conditions that cause muscle weakness. 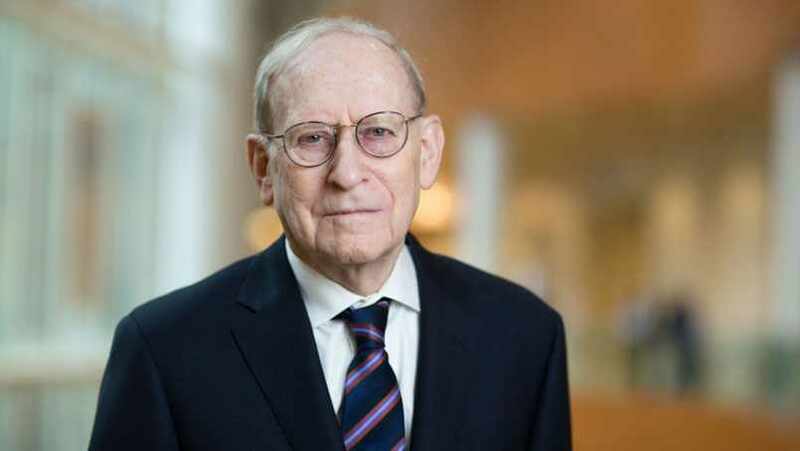 His contributions to the field have resulted in continuous funding from the National Institutes of Health for an astonishing 50 consecutive years — currently the longest streak of an NIH grant among Mayo Clinic researchers. Our hope is that you will share your comments below, and share this story with others using the handy tools atop this page. Dr. Engel was/is my daughter & son’s doctor back in the 80’s. He was able to diagnose their neuromuscular condition after (for us) several misdiagnoses. Thank you, Dr. Engle, and congratulations on 50 years at Mayo. After 35 years of misdiagnosis, at age 43, Dr Engel pinpointed my neuromuscular disease of Congenital Myasthenic Syndrome, AGRN gene fault! This gave us further treatment, hope & reassurance that our daughter has a healthy future (only receiving my faulty gene, and will never have the disease!). Dr Engel and his staff diagnosed my baby daughter with a very rare form of MD called Congenital Myasthenic Syndrome when no one else could. She is now a striving, sassy, wonderful young teen. I am so very honored to be able to call him my daughters top doctor. Not only is he a genius , he is a very warm, wonderful man…I thank God for him!